Description: 100mm Rosewood Finish 9mm uPVC 5m General Purpose Flat Board / Soffit Dimensions: 9mm x 100mm x 5m .. Description: 9mm General Purpose Board 150mm Rosewood Finish 5m flatboard / soffit Dimensions: 9mm x 150mm x 5m .. Description: 175mm Rose Wood Finish 9mm Upvc 5m General Purpose Flat Board / soffit Dimensions: 9mm x 175mm x 5m .. Description: 5m General Purpose Board 200mm Rosewood Finish 9mm flatboard / soffit Dimensions: 9mm x 200mm x 5m .. Description: 225mm Rose Wood Finish 9mm uPVC 5m General Purpose Flat Board / Soffit Dimensions: 9mm x 225mm x 5m .. 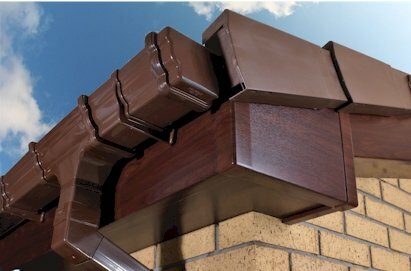 Description: 250mm Rosewood Finish 9mm uPVC 5m General Purpose Flat Board / Soffit Dimensions: 9mm x 250mm x 5m .. Description: 9mm General Purpose Board 300mm Rose Wood Finish 5m long flatboard / soffit Dimensions: 9mm x 300mm x 5m .. Description: 9mm General Purpose Board 400mm Rose Wood Finish 5m flatboard / soffit Dimensions: 9mm x 400mm x 5m ..